Julian Casablancas, the man who wrote arguably the best album of the 2000’s, now might have a two-decade streak. Top Tracks: Leave it in My Dreams, QYURRYUS, ALieNNatioN, Lazy Boy…… All the songs. If you’ve ever looked up anything on Google about The Strokes you know how much Julian Casablancas is and especially was their leading creative force. Their first two albums, the ones that have achieved the most critical and commercial success, are basically 100 percent credited to Casablancas. The music, the melody, the lyrics, are all his. Except for one co-writing credit with Albert Hammond Jr on “Automatic Stop”. Album three saw Julian allowing a little more bandmate input, but due to its drastically darker sound (thanks at least partially to changing their producer), did not sell as well or receive the same response from critics or fans at the time. Now what ends up being of The Strokes afterwards can be argued on both sides. The other members were getting better and better as artists, and with that came the desire to be more involved in the music making process, but on the other side Julian was also improving and wanted to have the band stick to the same writing routine that brought the first two albums such acclaim. This led to a minor break and some solo albums from the NYC five-piece. Two more solid Strokes records followed that were now made as a “band” (All five member have songwriting credits here or there), but Julian never got his chance to be the artistic strong force he once was. No promotion was done for that last record and within a year Jules decided to release his second non-Strokes album credited to Julian Casablancas+The Voidz. At this point they still weren’t together, just seeing each other. It was an album that was super ambitious, but also not very accessible. It was a crazy record full of loud sounds and beautiful melodies so buried in the mix that dissecting lyrics was nearly impossible. 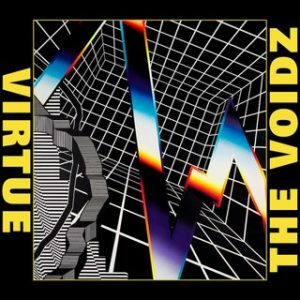 Then after a Strokes EP which many critics and fans thought was a step in the right direction, the Voidz returned this year for album number two. Now it can be said…… Julian Casablancas is a genius. This album is not perfect or linear, but that’s its greatest appeal. In interviews prior to the release, Julian stated that this album was meant to be more accessible than the last JC+Voidz outing. He also made it clear that there would be a song on it for everyone. This is true. The record basically sounds like 15 different bands all with the same lead singer and consistent lyrical content, almost solely centered on the issues facing 2018 America. It starts off with “Leave It in My Dreams”, the most Strokes sounding on here, but with enough strange guitar work and textures to make it unique. “QYURRUS”, arguably the best song on the record, is crazy. Self-described as Arabic-Prizon Jazz with a cult-like chant at the end, it will lead to an overwhelming first listen, but go back for more listens and you will see all of the appeal. To think that this man also wrote Last Nite is mind blowing. Then you’re again put in the ring with “Pyramid of Bones”. This track is heavy, loud, yells, and bites. Almost coming across like a Black Sabbath/System of a Down track. Then comes “Permanent High School”, a song that wouldn’t be too out of place on the last Strokes record Comedown Machine. Two tracks that I can’t fully give a perfect score to are “One of the Ones” and “Black Hole”. The later one only because it is meant to sound super loud and raw, not something that appeals to me. When you try to appeal to everyone you’re bound to not get a perfect score, and that’s expected but also should be commended. I could do a track-by-track here, but that would take forever. This album is required listening, it is a tour-de-force that only gets better with repeated listens. The only sad thing about this album is that it ends. This is not it for Julian. He is still breaking ground and pushing the limits of what an artist can do almost 20 years after introducing a new style of music that has brought artists like Arctic Monkeys, The Killers, and Kings of Leon to the mainstream. Never question his qyurryus mind.